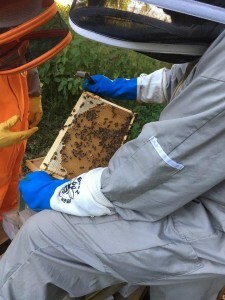 We have two hives and both are thriving. 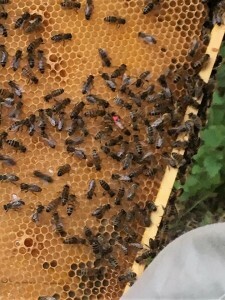 You can clearly see the Queen in the below picture, which we have marked to identify her quickly – having said that, she is huge and unmissable. 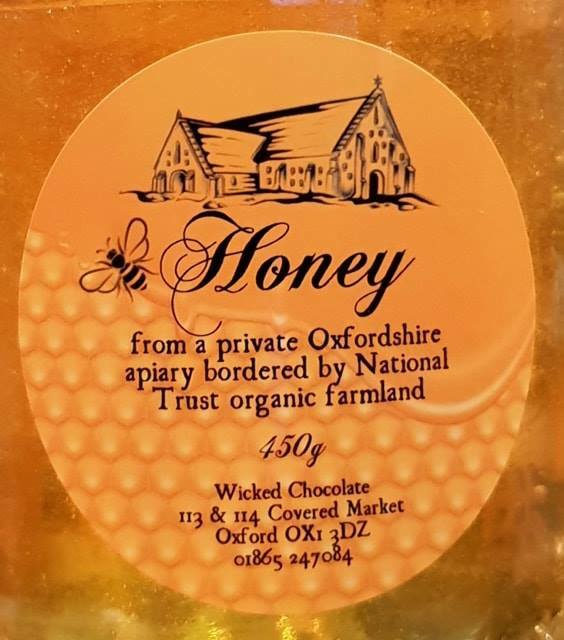 We are lucky enough to be surrounded by organic farmland owned by the National Trust which helps the bees thrive. The plan is to introduce our own honey to the gelato very soon. 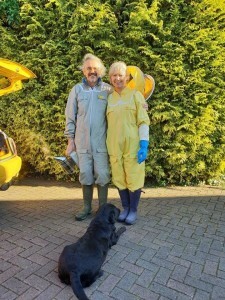 I am thinking honey and lavender – watch this space! 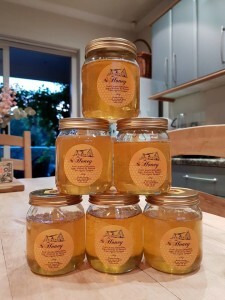 Our jars of honey are available to purchase in the shop now. Bees are the most amazing creatures on the planet, humans would be extinct without them.